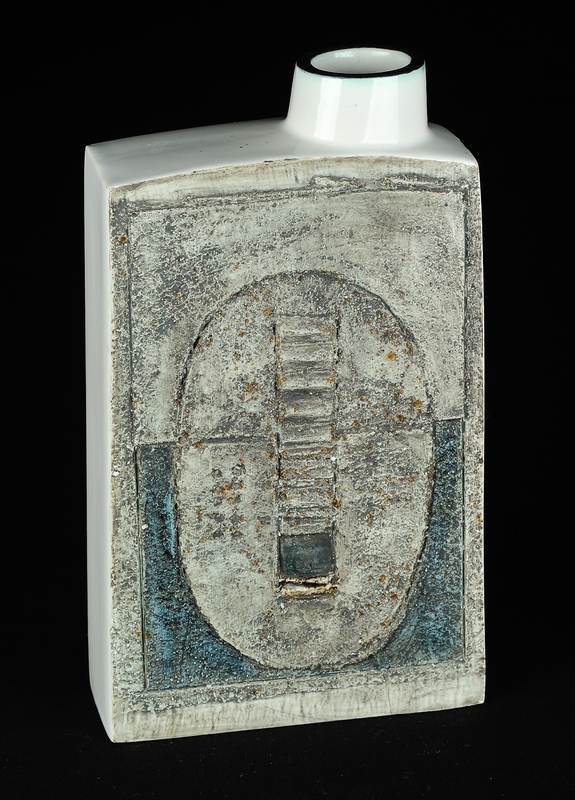 This chimney vase has smooth glazed sides and was decorated by Marilyn Pascoe. 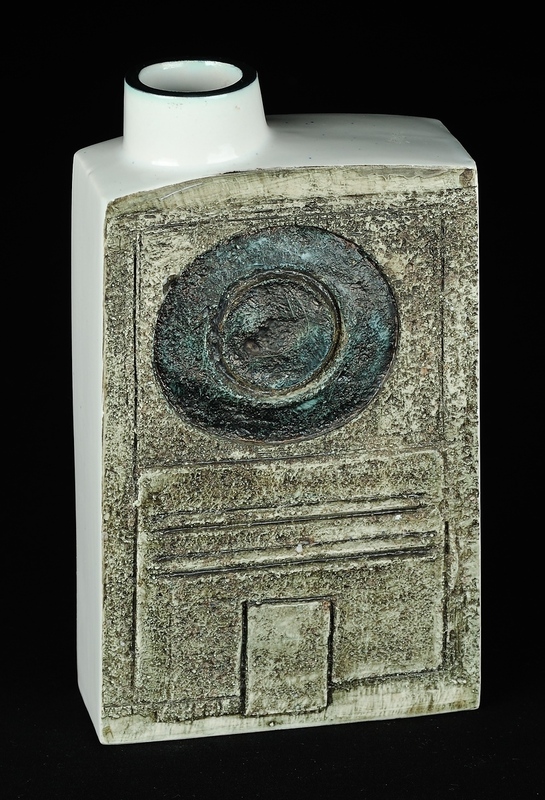 This vase from my collection stands 8 inches (about 203 mm) to the top of the opening. It is about 4.625 inches wide (about 117 mm) at the base and 4.375 inches wide (about 111 mm) at the top. It is 1.75 inches thick.